Beautiful ensuite bedrooms that will bring you to a place of tranquility. 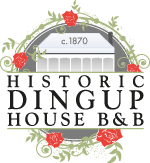 Historic Dingup House is an exclusive private property featuring the original heritage homestead surrounded by rolling lawns and expansive gardens. The perfect setting for a peaceful and relaxing Southern Forest getaway. 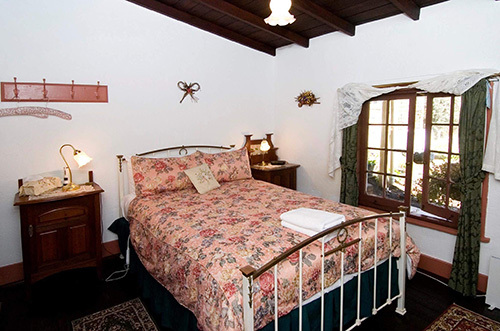 The homestead consists of four ensuite rooms and one two bedroom unit with an ensuite. 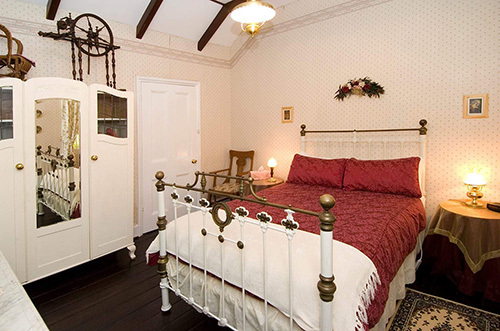 The rooms are individually decorated with genuine antique furnishings with a fresh modern influence. Sit back with a good book in the parlour or chill out with a glass of wine in the guest lounge/dining room by the log fire. Enjoy homemade preserves, jams and marmalade, seasonal local fresh fruits, yoghurts, cereals, fresh juice and smoothies for your continental breakfast. Cooked breakfast and delicious home cooked meals are available upon request. Check in time is 2pm. Earlier check in can be arranged with prior notice. Check out time is 10am. No pets. Non smoking. Please contact Chris or Philip for more information on availability and prices.